The Spud Run kicks off the NIMRA Championship season, four make their way to the North-West for a 10-miler while John and Aine Hasson end up in South Africa! The opening event in the 2018 NIMRA Championship took place on Saturday with the infamous Glenariff Mountain Race which, instead of a medal, offered a sack of local spuds as the spoils to collect at the end of the challenging 5.9 mile run. It's not called the 'Spud Run' for nothing! Running in conditions described by one competitor, Nigel McClintock, as "wet and mucky, proper mountain running conditions" with a climb of some 1200 feet the event attracted a large turnout from Ballymena Runners. Nigel was the second club runner home, in 24th place overall (54:10), behind Jason Wilson (49:20) who just missed out on a top ten spot to Springwell's Alex Brennan. Third for Ballymena Runners was Tim Lowry (55:45) while Gillian Wasson (56:10) was fourth lady overall, and her age category winner, with Alastair Hill the next to cross the line in 67th position (1:04:32). 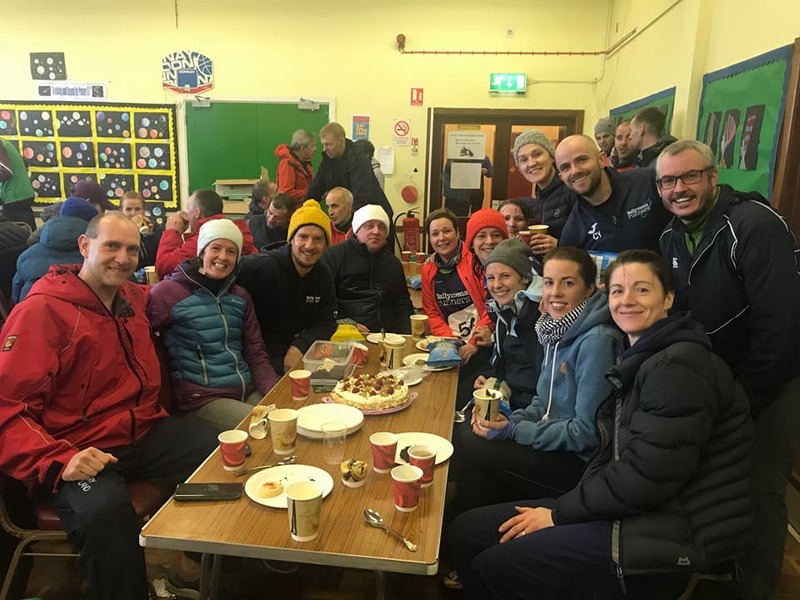 Also braving the conditions were Mairead Agnew (130th; 1:54:45), Adrian Dodds (127th; 1:41:27), Alastair Donaghy (86th; 1:17:10), Emma Donnelly (119th; 1:25:01), Mary Duffin (129th; 1:45:56), Jonny Graham (87th; 1:17:11), Karen Hunter (131st; 1:55:16), Helen McCormack (122nd; 1:30:36), Gerry McClintock (120th; 1:30:35), Nicholas McGroggan (124th; 1:34:38), Stephen Reid (74th; 1:10:22), Andrea Wylie (120th; 1:30:35), Chris Young (78th; 1:11:52). Close to 500 runners lined up for Saturday's SSE Airtriciy 10 mile road race on a wet and windy Derry weekend morning in an event rescheduled from last weekend after it fell foul of the inclement weather which enveloped the country. Four Ballymena Runners made their way to the Walled City for the event with Rodney Livingstone the first home in 1:09:52, a few minutes ahead of Ryan Armstrong who finished third in his age category with a time of 1:13:22. Rachel Galbraith (1:37:52) and Wendy McAuley (1:28:57) also competed. Well known running couple Aine and John Hasson escaped the weekend rain to compete in the 20 degrees South African heat. Turning up on Saturday morning at the Franschhoek parkrun, both produced strong performances with John finishing second overall while Aine was second lady. And they weren't the only tourists at the weekend. Susanna Allen finished 6th lady in Canterbury while Neil Craig posted a time on 20:41 in Camperdown, Dundee. Enjoying some much needed refreshments after the Spud Run!